Scientific research has taught us that cancer is a disease of aging and not actually one disease, but many. Knowing the molecular defects that produce a particular cancer subtype can indicate which drugs should be used to treat it most effectively. Yet, we must overcome major challenges to treat cancer patients more effectively. First, we only have molecular targets for a handful of cancers. Second, the cells within a single cancer often have differing molecular defects that we must target individually. Clearly, we need innovative strategies to chart the molecular interactions and genetic underpinnings of cancers. Such knowledge will generate the new therapies that will enable us to live with, rather than die from, these diseases. 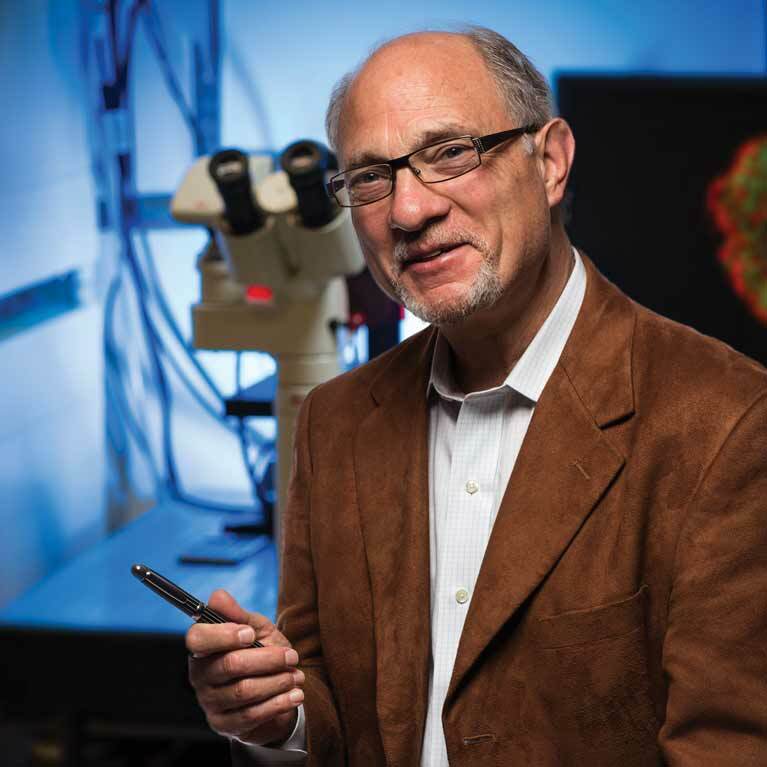 Geoffrey Wahl’s team is pursuing a three-pronged approach to better understand cancers and develop better therapies. 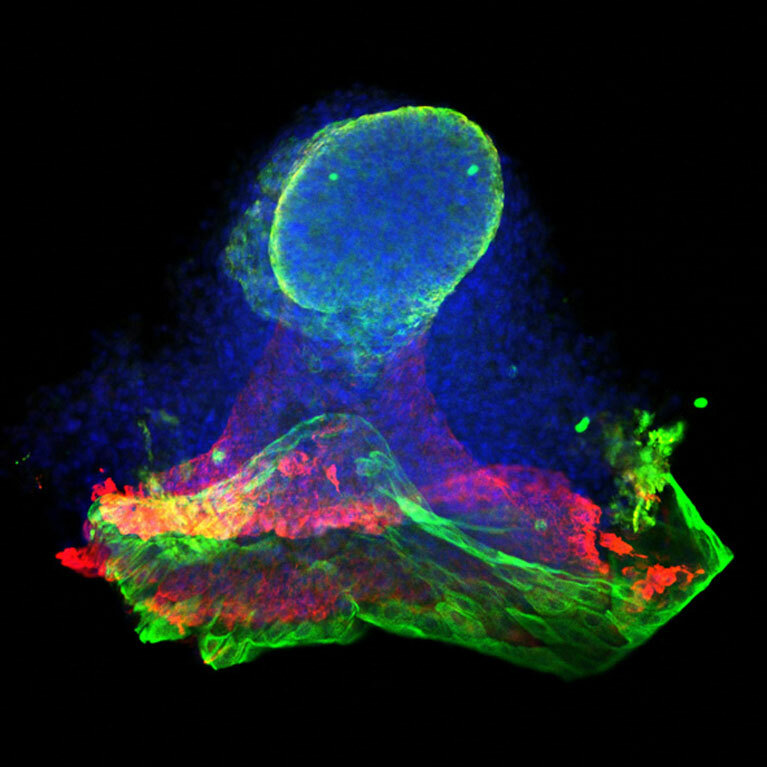 First, they are studying whether the most aggressive forms of breast cancer are fueled by deranged versions of the stem cells that generate the mammary gland, the organ that produces breast milk. 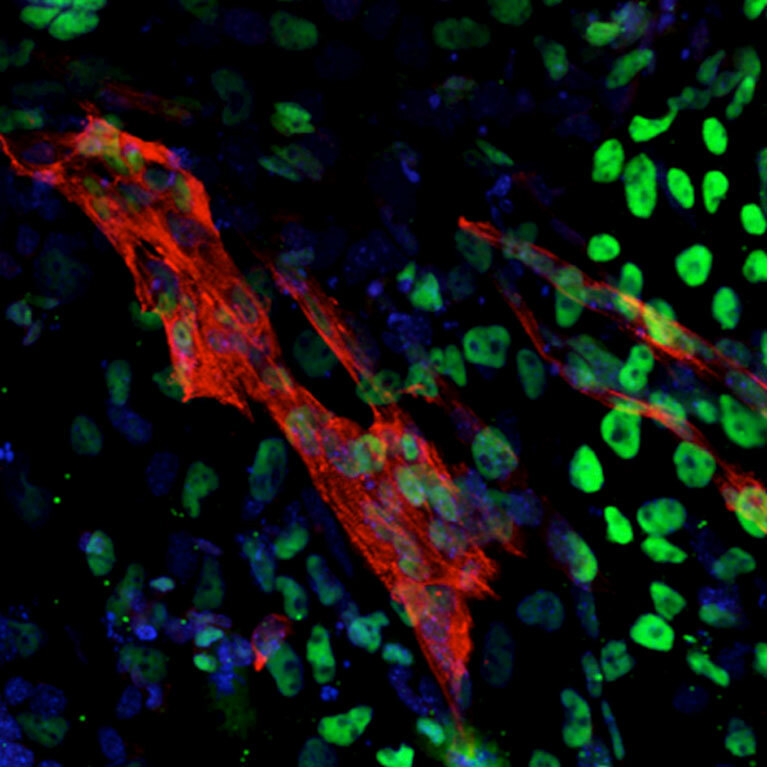 Important differences between these and normal cells may enable them to be targeted selectively by new drugs to which they are especially vulnerable. Secondly, some cancers, like pancreatic, are encased in a protective covering of cells that both prevents drugs from reaching the tumor cells and provides substances that fuel the growth of the cancer. 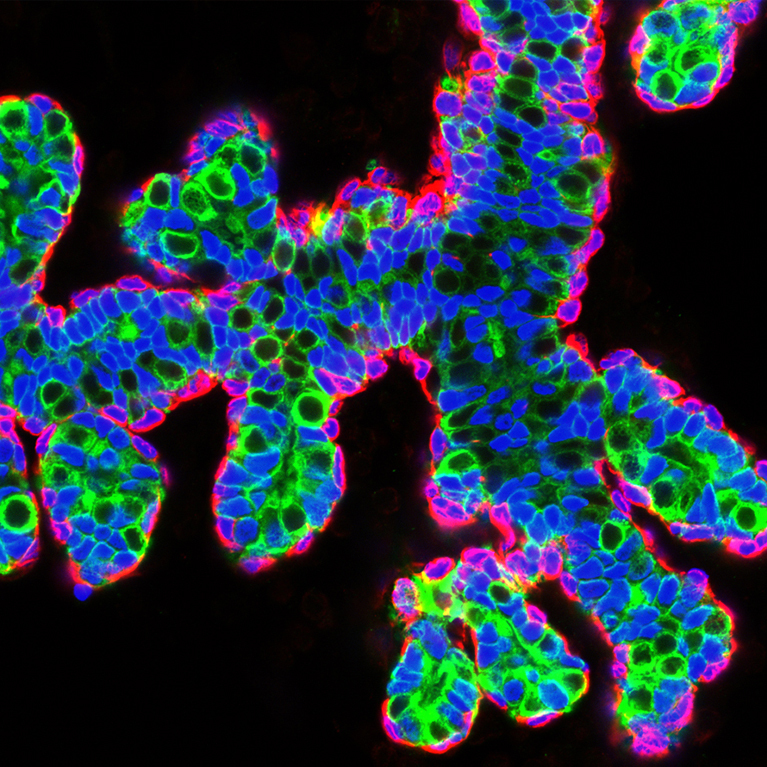 Wahl’s lab is developing a strategy to weaken this armor plating, thereby disrupting this important element of the tumor’s “control center” to make it more sensitive to therapeutic intervention. Finally, most of the functions of cells are carried out by groups of proteins that act together like “nano-machines.” In cancer, abnormal nano-machines form and fail to respond to the cues that would normally turn them off. Wahl’s team has developed a powerful new way to study when these abnormal nano-machines are formed. This technology is enabling the team to identify drugs that can interfere with those most relevant to several forms of cancer. 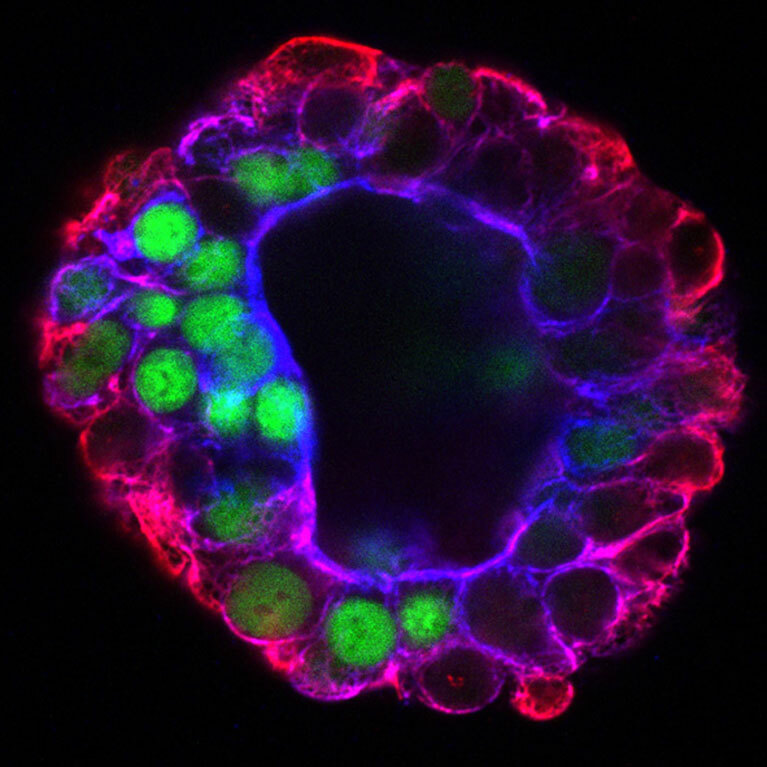 Wahl’s lab discovered striking similarities between genetic signatures found in certain types of human breast cancer and those of stem cells in breast tissue in mouse embryos. The findings may lead to new ways to predict and personalize the diagnosis and treatment of some of the most aggressive forms of breast cancer. 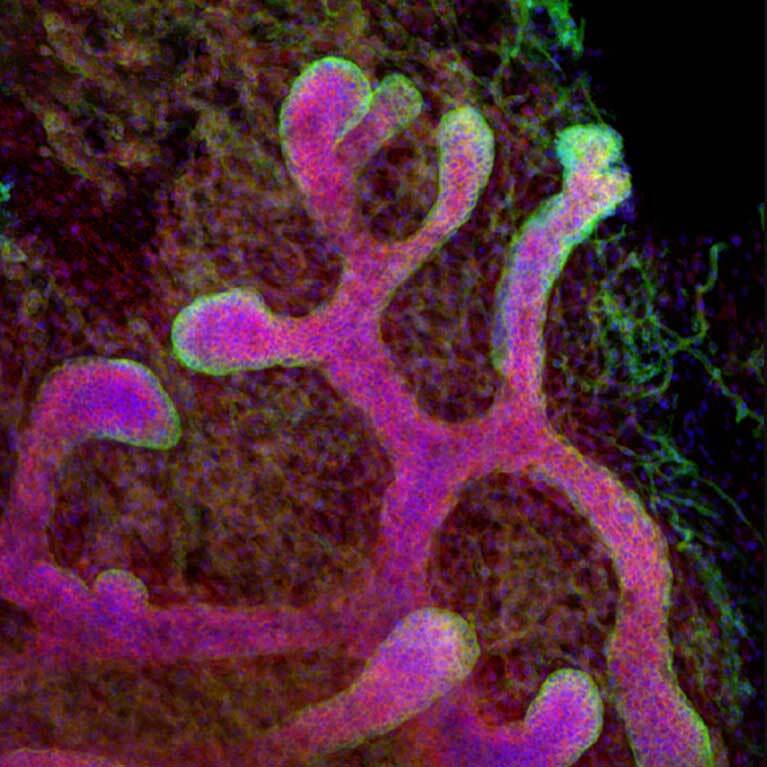 He discovered how to keep mammary stem cells alive and functioning in the lab, a breakthrough that allows him to study both breast development and the formation of breast cancers. Wahl’s team developed a rapid and versatile method for observing subtle and previously hidden interactions between proteins in living cells. The technology promises to dramatically accelerate the identification of many potential new drug targets and drug candidates.